Starting May 21st, 2018, all users will be able to trade LUC (Level Up Coin) tokens on Yobit, CoinBene, and HitBTC exchanges. By July 2018, LUC token is to be listed on at least four other top crypto exchanges. May 21, 2018, Limassol, Cyprus – Play2Live, the world’s first decentralized streaming platform for gamers and esports fans built on blockchain technology, has reached an agreement with Yobit, CoinBene, and HitBTC – the world’s fourth largest trading volume crypto exchange. We have reached preliminary agreements with several exchanges, including Yobit, CoinBene and HitBTC. Starting May 21, 2018 our token will be traded on HitBTC – one of the most reliable crypto exchanges in the world. To ensure further development of Play2Live ecosystem and Level Up Chain, users will be offered an opportunity to trade LUC token on other reliable and established cryptocurrency exchange platforms. In the meantime, the Play2Live development team has been actively working on the P2L.TV platform. On the 21st of May, Play2Live has launched an updated version of its MVP. The new updated MVP 3.0 allows users to spend LUC tokens in several different ways. All 15 methods of LUC interoperability described in the Play2Live White Paper will be implemented at the beginning of the third quarter of 2018 in a full-fledged beta version of the platform functioning on Level Up Chain — a blockchain infrastructure being developed by Play2Live. Load tests, QA tests, as well as token tests, were held on the updated platform. Play2Live aims to combine blockchain technology with its streaming services while offering 15 sources of revenue for participants — three times more compared to the streaming industry leaders. Streamers will be able to monetize their content in 11 ways versus the 4-5 available on existing platforms. Play2Live will hold its first Hearthstone tournament during May 23rd through May 25th, 2018. Eight players have been invited, ranging from professional players to popular streamers. These players will take part in the first ever Hearthstone tournament powered by blockchain technology and the next generation of streaming interactivity through Play2Live. P2L.TV will broadcast the event with esports commentaries in English and Russian. STARLADDER.TV will arrange the broadcast of the tournament in Russian. This tournament will be the first esports event in Hearthstone organized by Play2Live. In February 2018, P2L’s team hosted the “Play2Live CryptoMasters” for CS:GO in Minsk, Belarus where eight of the leading international CS:GO teams competed for the — 2 000 000 LUC ($ 100 000). The tournament was broadcasted on P2L.TV in 16 languages. More than 120,000 unique users watched it with a total viewership figure exceeding 950,000. Play2Live uses a token called Level Up Coin (LUC) which acts as a sole internal means of payment within the Play2Live ecosystem. Level Up Coins can be converted to other currencies, or to fiat money through a special exchange service/API. 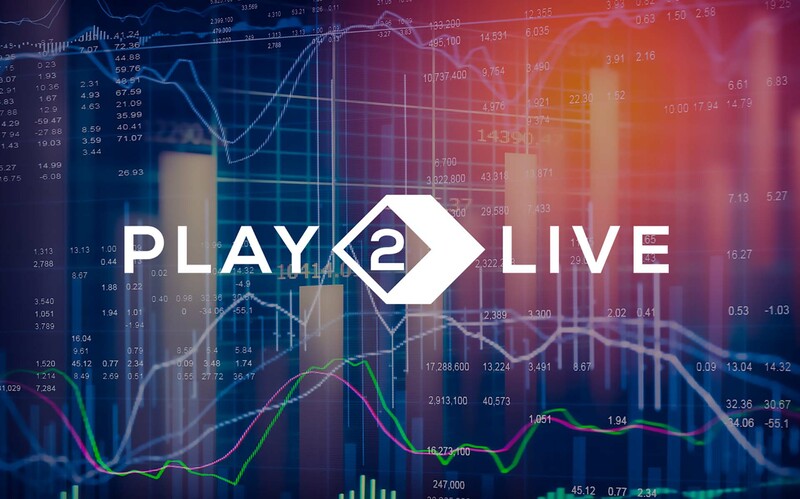 Play2Live achieved its hard-cap during its token sale in March 2018, raising $30M.